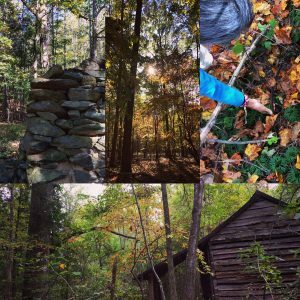 This exhibit explores the social history of a network of wagon roads in Cheeks Township outside of Hillsborough, North Carolina. A thriving community of small farms at the turn of the 20th century, this area was home to two black churches and a one-room black school house. After Orange County transitioned to a modern system of state highway maintenance, many of the wagon roads in this area fell into a state of disrepair, leading to the eventual displacement of some residents and the return of once fertile farmland to forest. In the face of loss and change, however, many local families remain deeply connected to this land across generations. Back Ways is a project of the Southern Oral History Program that works to understand the social experience of racial segregation in the rural South through oral history and archival research. 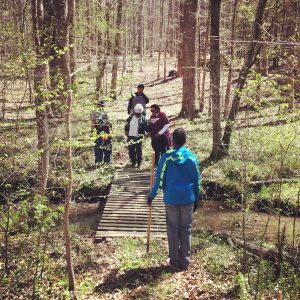 In 2016-17, SOHP field scholar and lifelong local resident Rachel Cotterman collaborated with members of the Harvey’s Chapel AME Church and other neighbors to trace the histories of rural back roads southwest of Hillsborough. This digital exhibit is a work-in-progress collection of what they learned together. Outside of the small historic downtown of Hillsborough, North Carolina, the Piedmont hills stretch out beneath forest and farmland. Small creeks and rivers wind their way between banks and ridges. Summer water is shallow, lazy, and warm, but spring rains bring faster currents popping and curdling over gray-green stones. Animal and plant communities find quiet shelter across the landscape. Oak, tulip poplar, pine. Cardinal, gray squirrel, white deer. These hills hold human homes too, past and present. Some strike the eye – bright white siding, slanting porches, driveways full of cars. Gravel roads and clean wide asphalt. Others lend more subtle signal – a single chain gate across an overgrown path. Faint depressions in the soil. Collapsed chimney stones that bleed into the earth and back out again. Rusted metal and milky quartz. The historic site of Harvey’s Chapel AME Church sits high up on a ridge, about 3 miles southwest of town, girded by creeks on three sides. The church was founded in 1892 by a group of African-American families who had been meeting as a “brush arbor” worship community and then joined together to purchase land for a fixed location. 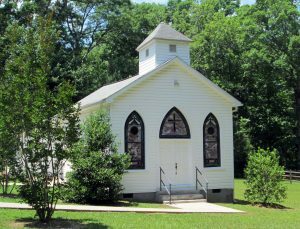 After the road on which they were located fell into a state of disrepair in the 1930s, they moved locations twice–first to a local one-room schoolhouse and then building a new church nearby. The historic site has been largely swallowed by forest, but the foundation stones of the church and a sizable cemetery are still visible. It remains an important ancestral site for this community. 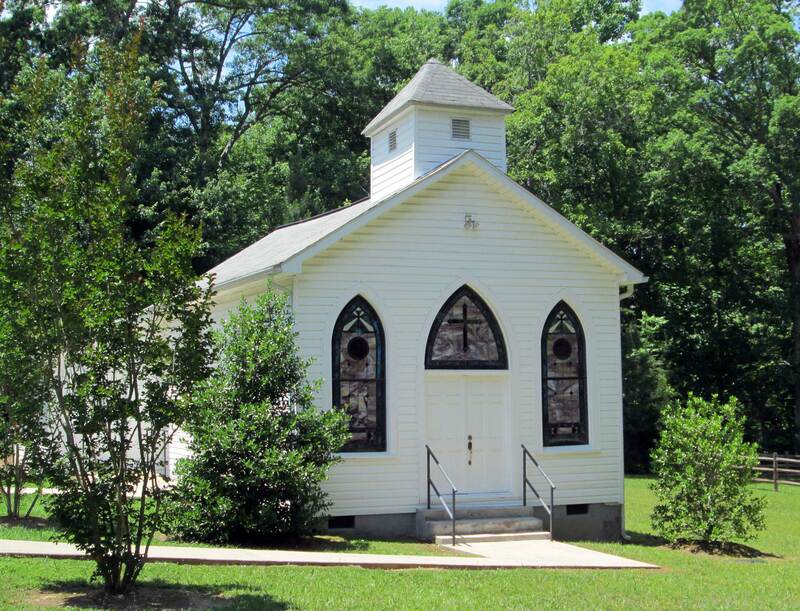 Harvey’s Chapel continues to gather in their third location, and most of the congregation members are descended from the original group of founding families. More information about the church’s history can be found on their website. But what happened to these wagon roads, and what was life like for the people who lived, worked, and worshiped along them? 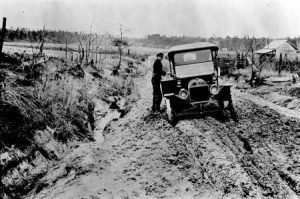 The Good Roads Movement – which swept across the United States in the first two decades of the 20th century – worked to generate rural and regional economic development by paving and improving country wagon roads. Whereas rural roads in North Carolina were previously maintained on the county level, the modern state-wide system of road construction and maintenance was established in 1921. 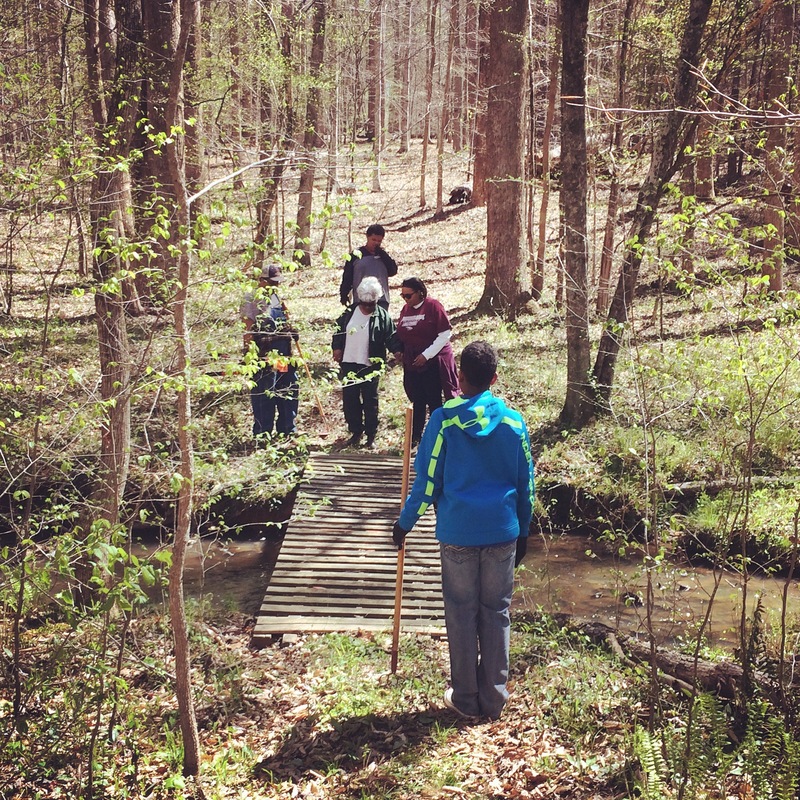 Read more about the NC Good Roads Movement on our blog here. Maps were central to the project of the Good Roads Movement. By creating the first official road surveys, the new State Highway Commission began to hierarchically classify roads by maintenance status. This assessment was based on a range of factors, including population density, the use of roads for connecting urban centers, and petitions submitted by local businesses owners and citizens. In the Jim Crow south, many roads in black and poor white rural communities were excluded from the new maps and were thus eliminated from public maintenance during this era–including the wagon roads around the original Harvey’s site. The map on the left is a 1910 USPS Rural Free Delivery Route map. Harvey’s Chapel was located along rural free delivery route number 4, indicating that it was a relatively well-traveled and populated public route at the turn of the century. The map on the right is the first Orange Country Road Survey conducted by the newly formed State Highway Commission in 1930. None of the wagon roads connecting Harvey’s Chapel were included on this map–nor the new maintenance system–at this point. Moorefields Road, which provides access to the Moorefields Estate, a historic plantation house just east of the original Harvey’s site, was the only former wagon road in this area to eventually be added to the new maintenance system in the 1940s. The two pins show the historic (north) and current (south) location of Harvey’s Chapel. The image on the right comes from one of the first sets of aerial photos taken by the USDA. It shows the landscape of farmland around Harvey’s Chapel in 1938. At the point when this photo was taken, the wagon roads around the church had already been in a process of decline for at least a decade, and many families had likely already left their farms and homes along these roads. Comparing this photo with satellite imagery from today shows that the process of reforestation continued significantly over the following decades, as wagon roads not added to the new maintenance system became entirely unusable and many rural communities moved into cities. Maps and images only tell a partial story. While the area around the former’s Harvey Chapel site appears as a blank space on the 1930 road survey, we know that this place was full of life during this era. By speaking with longtime residents, walking in the woods to identify former home sites, and researching in local archives, we are slowly reading with and through the gaps in historical memory to trace lived experiences of this place across time. (Listen to this episode of Press Record and read this blog post to learn more about the joys and challenges of this process). See Rachel’s zine atlas of the area around Harvey’s Chapel below, and download it here to view or print your own copy! 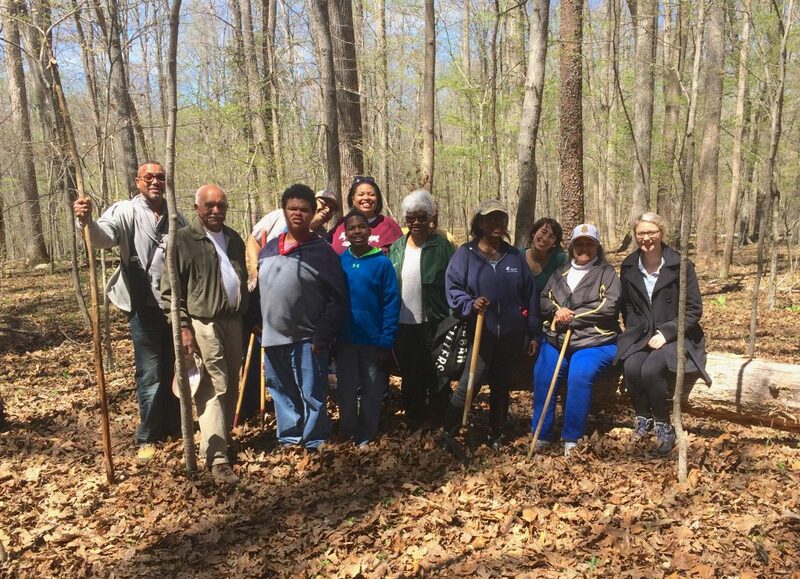 In the oral histories we have collected, longtime residents paint a nuanced picture of these woods as home to overlapping experiences of community, displacement, discrimination, resilience and joy. Full interviews will be processed and available in the SOHP digital collection soon! What is the Back Ways project? A Southern Oral History Program research undertaking that seeks, through oral history and archival work, to foster better understandings of race and segregation in rural parts of the United States South.